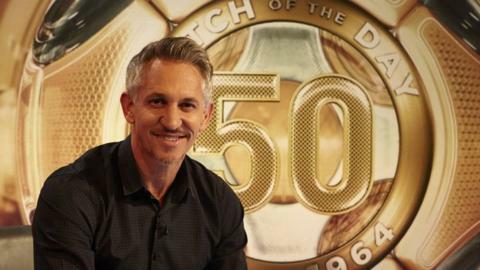 Match of the Day host Gary Lineker believes "little bit odd" manager Nigel Pearson will almost certainly keep Leicester City in the Premier League. Leicester have won five of their past six matches to climb to 16th spot - one point clear of the relegation places. "Nigel has done a brilliant job at Leicester," Foxes fan and former striker Lineker told BBC Sport. "He knows what he's doing - yes, he's a little bit weird at times, a little bit odd." Pearson last week apologised for calling a journalist an "ostrich" during a bizarre post-match news conference. Lineker and Pearson fell out earlier this season when the Foxes manager said Match of the Day made a "mountain out of a molehill" following his touchline clash with Crystal Palace midfielder James McArthur. "'I've had a little spat with him and he sometimes gets a little heated and out of order. But, I think we'll all put up with that if he keeps them up," Lineker told BBC Leicester's Football Forum. "He's been accused of being slightly arrogant and patronising but he's kept the players together, he's kept them focused and kept the belief. "He clearly knows what he's doing in terms of his job and that's all that matters really. He can be a bit quirky. But Jose Mourinho can be difficult at times and he's done all right." Leicester, who were promoted last season, have three league games left to ensure they stay up, although 18th-placed Sunderland have a game in hand. "It's important they stay focused but if I was a neutral looking at this, I would be 99% sure Leicester will stay up," Lineker added. "It's not impossible, of course, and lose the next two games and you are bang under the cosh." Leicester host Southampton on Saturday, visit Sunderland on 16 May and are at home to 19th-placed QPR on 24 May - the final day of the season. Lineker said: "It's nice to have in the bag that the last game is QPR at home when it's massively odds-on for them to be relegated by that stage. "If Leicester get any sort of result at Sunderland that will pretty much guarantee they stay up. "Given their turnaround in fortunes, and given the fixtures that other sides at the bottom have got and the fixtures Leicester have got, I would now be quite surprised if they don't stay up."